Gruber Industries is a world leader in private label and custom manufacturing of cabling products. 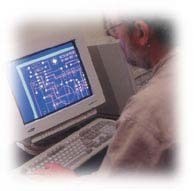 Since 1984 we have been servicing hundreds of leading companies, building networking and cabling products under our customers brand names. Our proven ability to combine advanced design and innovative technologies with proprietary delivery systems and a wide range of packaging options will provide your products with unique flair, differentiation, and higher perceived value. We are proud of our long-standing relationships with many of the industry's largest, most well-established and highly regarded brand names. We also take special pride in helping new companies to successfully enter the cabling product marketplace. For this reason, we have designed our facilities for high throughput on process equipment of all scales. This allows us the flexibility of meeting the needs of our smallest and largest clients. Timely delivery happens when a whole series of carefully planned steps takes place on a precise schedule. Let Gruber Industries take the anxiety out of your production calendar with turn-key solutions to your instrument and component manufacturing. We'll regard your needs as if they were our own, using a complete range of design, manufacturing and finishing services to exceed expectations and meet your deadlines. Our capabilities were developed to meet the needs of our own demanding markets. Let us put our comprehensive manufacturing skills to work for you. Having so many capabilities under one roof makes quality and timeliness controllable. We bore, turn, mill, shape and polish a wide range of materials, from metals to plastics. Our sheet metal shop accurately punches and bends a prototype or production run of enclosures to your strictest tolerance, then welds and dresses the corners, ready for finishing. Our welders have made welding and fabrication into an art form. When they get finished, your design takes shape and form. In some cases, you can't tell there ever was a seam. We can stick weld, use torches or spot weld. 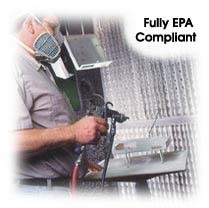 We work with Steel, Aluminum, Stainless Steel, or any metal you may specify. No job is too big or small. Stop by and let our craftsmen show you what they can do. We are the cabling market's most experienced finish & silkscreen facility providing more than 3000 products with durable Powder Paint coatings and custom graphics. Whether you provide the design or just the specifications, our knowledgeable employees can give your products the appearance that makes a professional first impression on your customers. 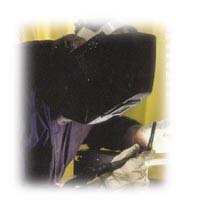 We make and maintain our own silk screens and utilize the latest state-of-the-art software and materials. We design some of our own production tooling which reduces your cost and our fabrication capabilities along with our stock of high-quality components sourced internationally gives our Private Label customers the most cost-effective product available. Our core competency ranges from cable assembly to enclosure and cabling product assembly. We make a variety of products to meet the needs of many markets, meeting both national and international standards. 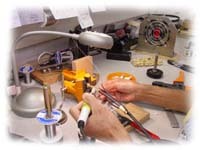 If desired, we will perform quality assurance routines certifications to your standards. Put our experienced design team to work and bring your ideas to life. Our engineers and CAD systems have designed electronic and mechanical products for many of the top popular brand names in the premise and structured cabling marketplace. As a technology leader, we often assist with design or are contracted to provide the path from concept to finished product. We can do it for you, too! We know your reputation ships with each instrument. So it must endure its journey and arrive in pristine condition, ready to meet lofty customer expectations. We are experts in custom packaging of a delicate product, singly or collectively, to survive long, often hostile voyages. 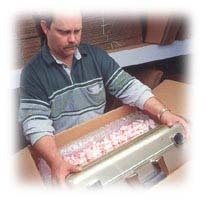 We are routinely called upon to drop-ship products directly to your customers.